One Don’t you hate having to always give your neighbour the best side of you new fencing? With the double sided Ascot panel its a problem of the past. 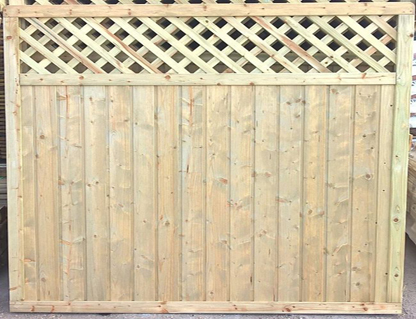 with a heavy duty frame work and attractive lattice top these 1.8m x 1.8m planed finish tongue & grooved panels look great for you and your neighbour.